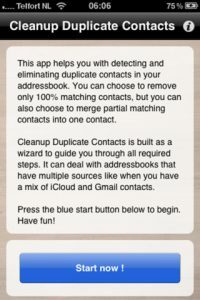 Earlier this year, we reviewed an app called Contacts Duster Pro. Despite it’s $2.99 price tag, it impressed us with it’s thoroughness and the ability to make a graph to help you better visualize your contacts list situation. It got a 9/10…so the question today is this: How will a similar app that costs only $1.99 stack up? 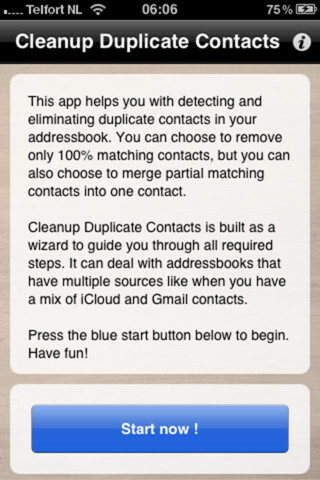 Cleanup Duplicate Contacts, developed by Wim de Nood, is the subject of this review. And to my own taste, I slightly prefer Cleanup Duplicate Contacts to Contacts Duster Pro, though both are quite good. One of the most standout features of Cleanup Duplicate Contacts is the navigation system. When it starts up, you can either start the cleanup process, or restore your original contacts settings from a previous use. The main screen also has convenient buttons for sending a review or social sharing via Twitter. 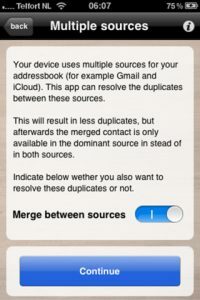 If you start the cleanup process, you’ll be taken through a brief (and actually quite comprehensive) explanation of what Cleanup Duplicate Contacts will do for you. After that, you can select from four different merge settings: remove 100% of duplicates, merge when name matches, merge when email matches, or merge when phone matches. Altogether the merges work cleanly, and having the ability to restore previous settings is a really smart choice. 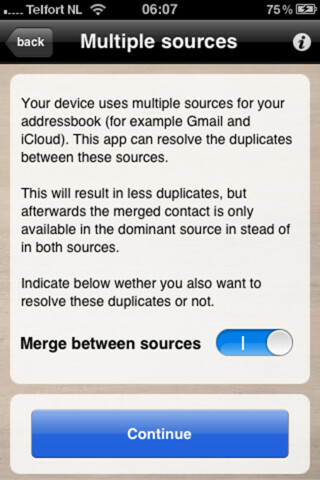 But beware: Cleanup Duplicate Contacts is only as smart as you are. For example, I had two contacts that I wish would have merged: “Steve Work” and “Steve Wirk,” but since I misspelled “work” in the second instance, they didn’t merge. 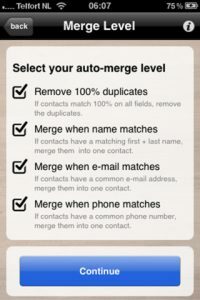 If your contacts are an absolute mess, Cleanup Duplicate Contacts will save you the hassle of deleting and merging those contacts manually. And for two bucks, I couldn’t be happier with the value. 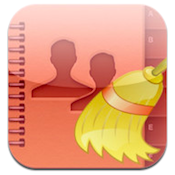 Cleanup Duplicate Contacts is compatible with iPhone 3GS, iPhone 4, iPhone 4S, iPod touch (3rd generation), iPod touch (4th generation) and iPad. Requires iOS 5.0 or later. A small fee was paid by the developer to speed up the publication of this iPhone app review.